The history of AtyrauNefteMash mechanical engineering plant started during the first quarter of the last century, when a new plant was established on the basis of mechanical workshops previously used to service waterborne and railway transport. 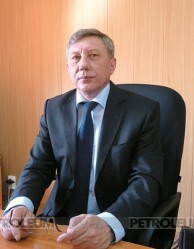 This new plant launched production of equipment for petroleum operations. AtyrauNefteMash LLP is one of Kazakhstan’s leading specialized enterprises experienced in manufacturing oil-field equipment, spare parts and servicing oil and gas enterprises.In mid nineties of the last century Kazakhstan faced a unique situation. 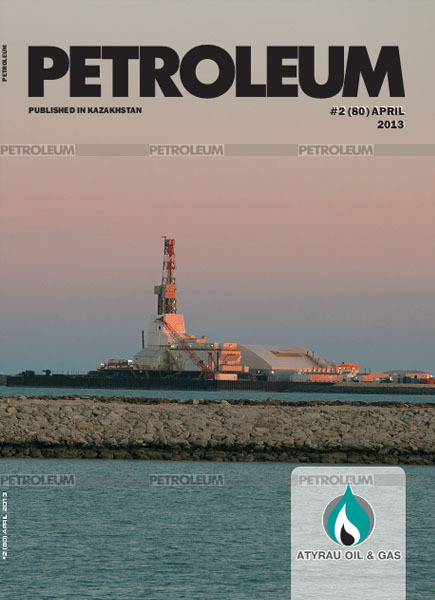 It was the time when the country experienced a “petroleum boom”, and major transnational corporations like Chevron, Mobil, Texaco, Shell, Agip, АВВ, Total and many others commenced their operations in Kazakhstan. It was a time of growing demand for mechanical engineering products which, due to a lack of supply on the domestic market, had to be imported from abroad. Steel structures of various application. The entire range of the listed products are supported with СТ-KZ conformity certificate. Products manufactured by AtyrauNefteMash plant have deserved the client’s favour and high reputation. Whereas ten years ago the plant used to manufacture only drilling equipment and tools, such as mud pumps and transfer pump units, horse head beam pumps, over the last year the plant launched production of modular test separators NGSV-1,4-1200. The separator is fully automated, including control valves (solenoids), gas meters, crude oil and water meters, and also control cabinets with the possibility of signal output to the control room. The separator is equipped with alarm devices and medium-frequency foam generator for fire extinguishing systems. The separator is fully compliant with all applicable requirements set by RoK Standards and Rules. 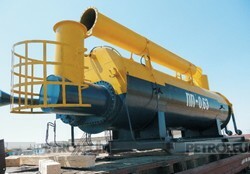 Currently this type of separator is an integral part of the oil gathering and treatment process in the oil fields. Previously such products could only be imported.